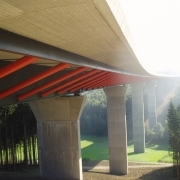 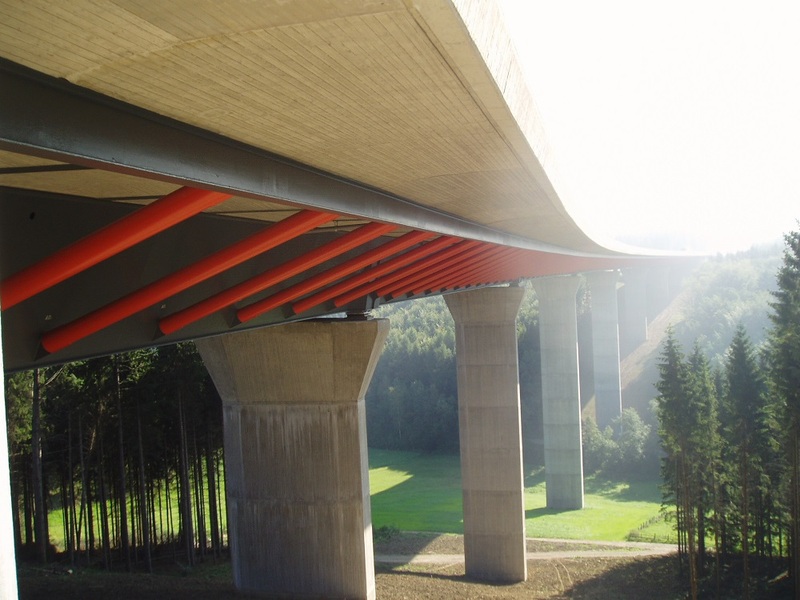 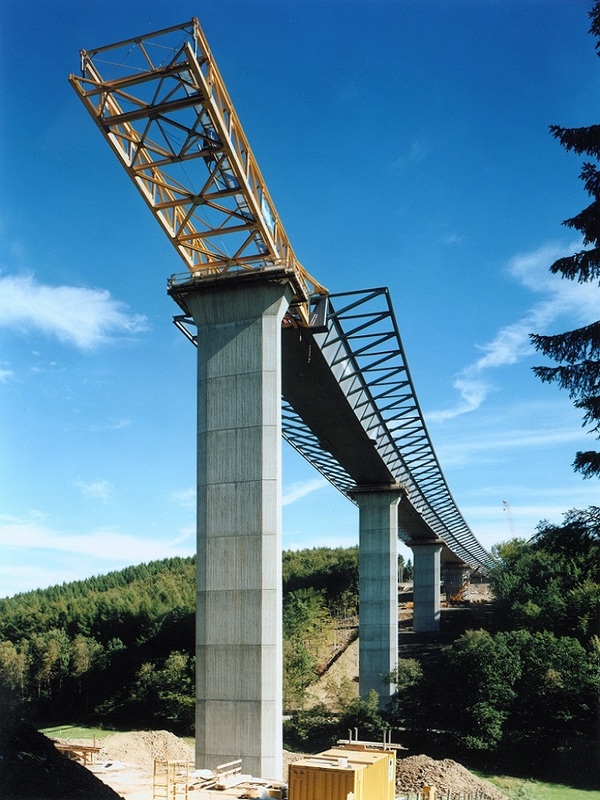 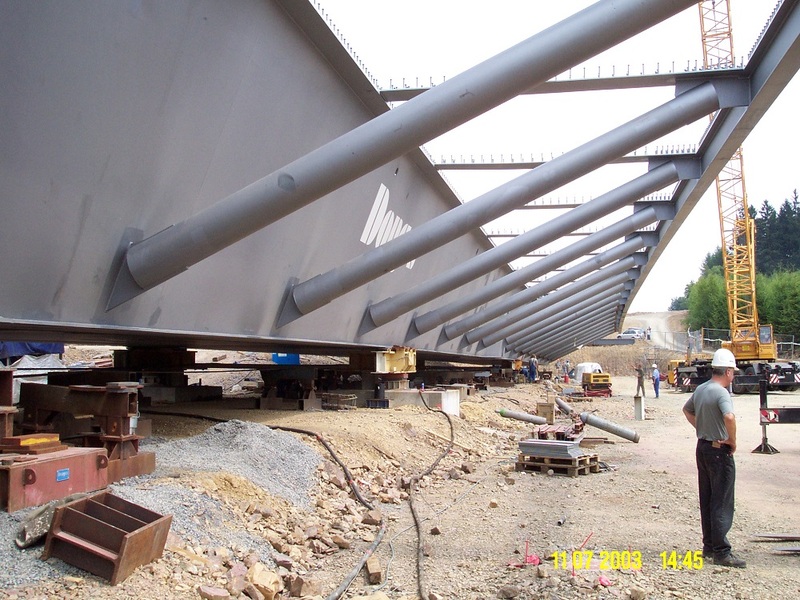 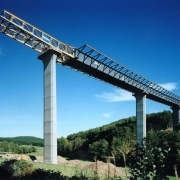 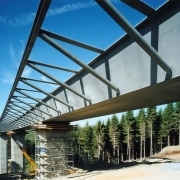 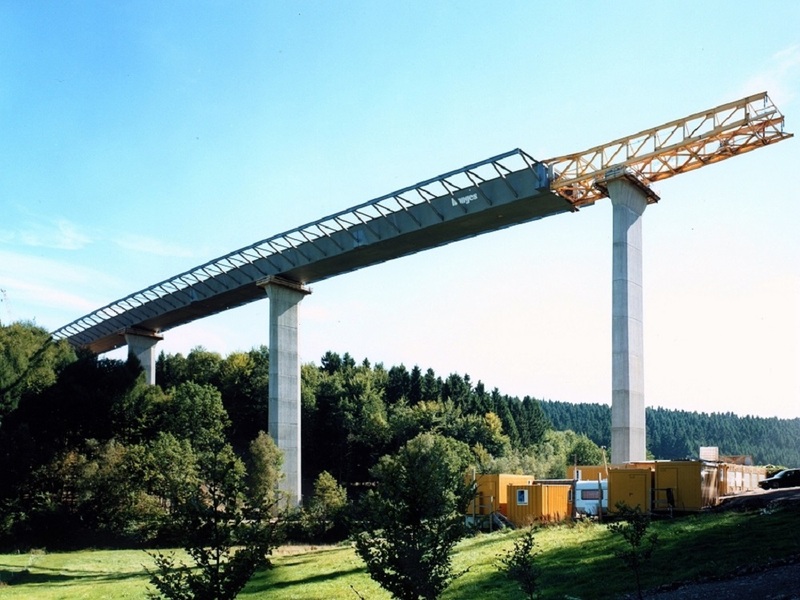 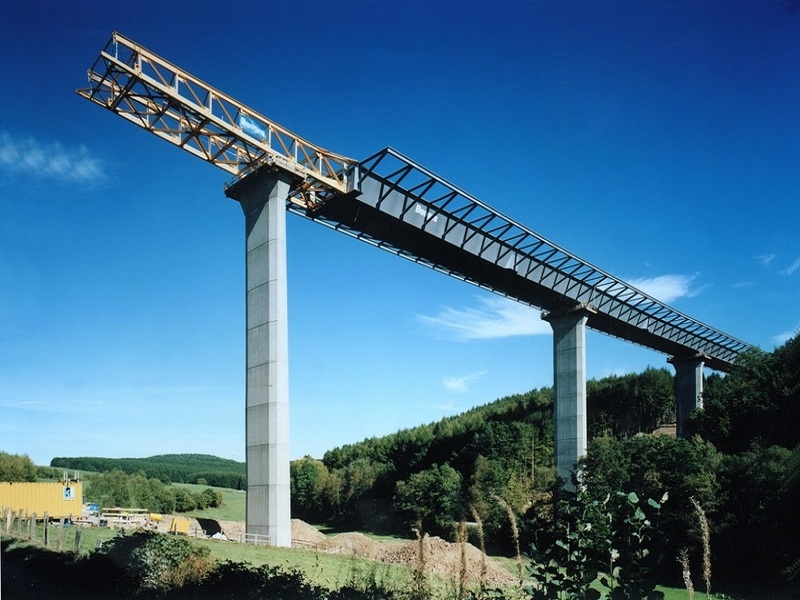 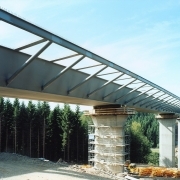 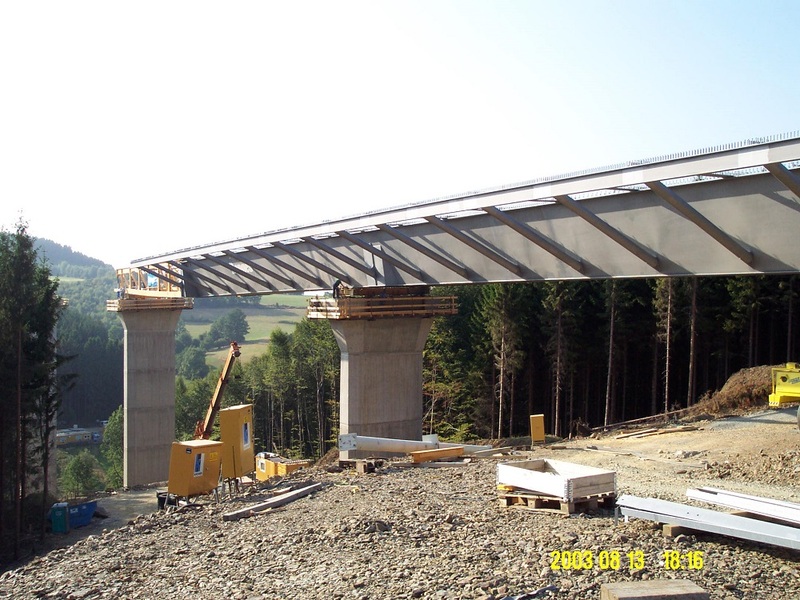 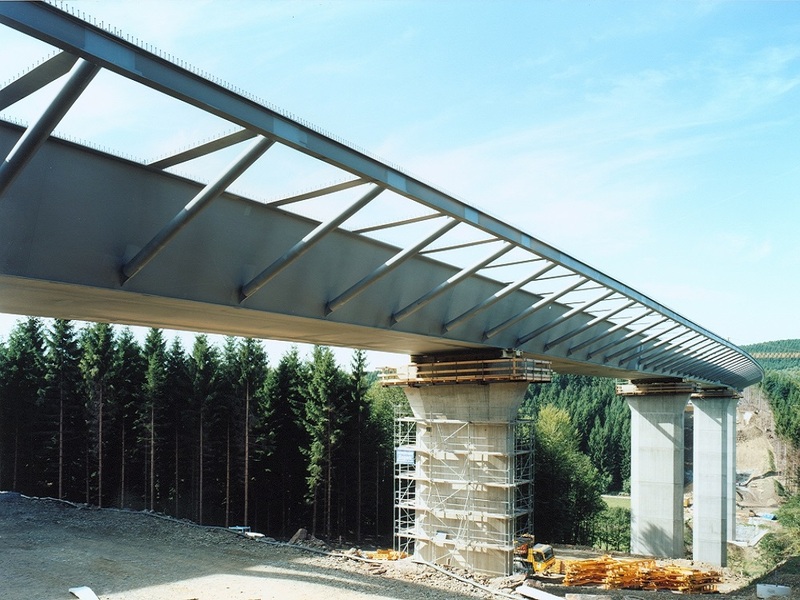 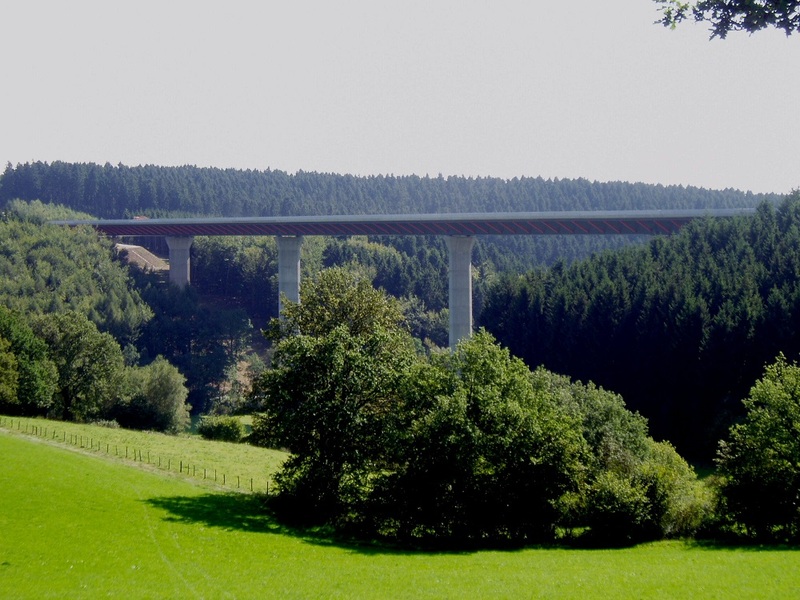 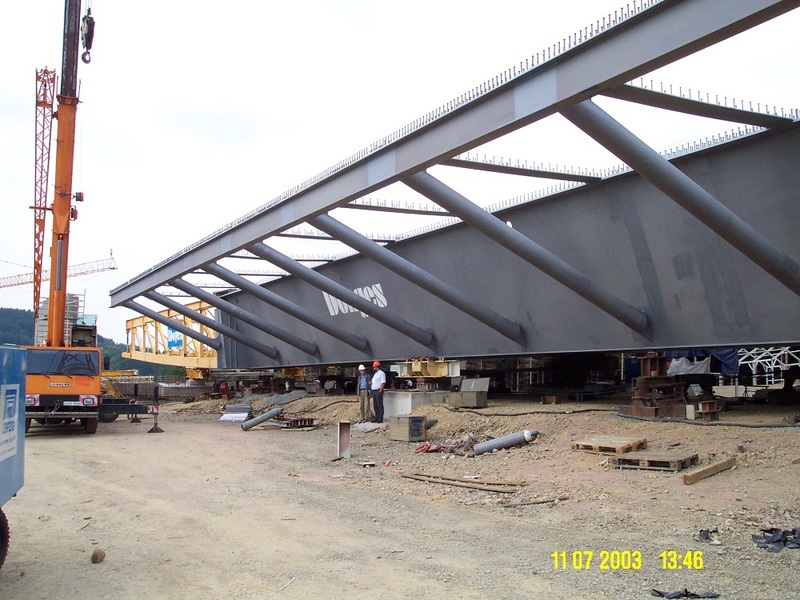 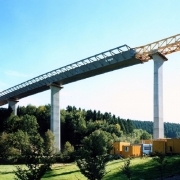 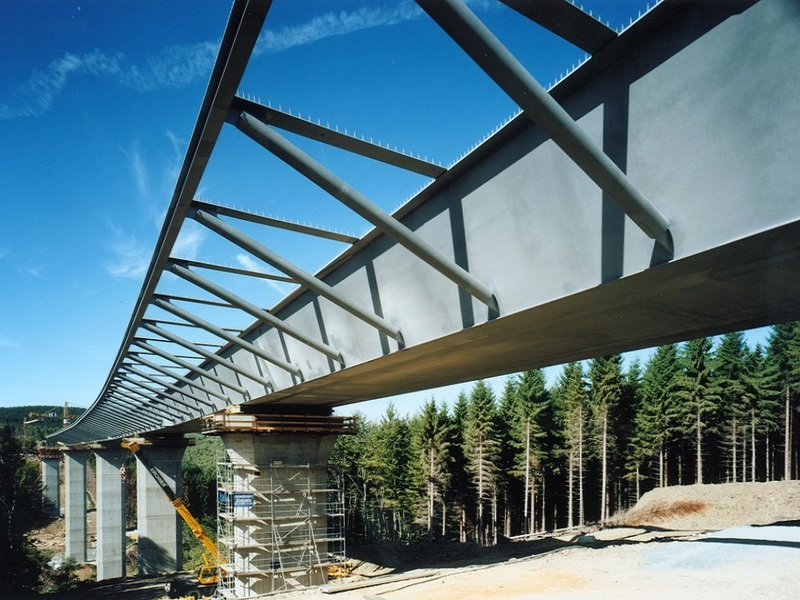 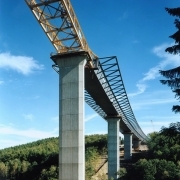 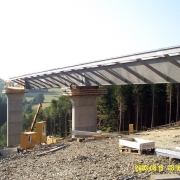 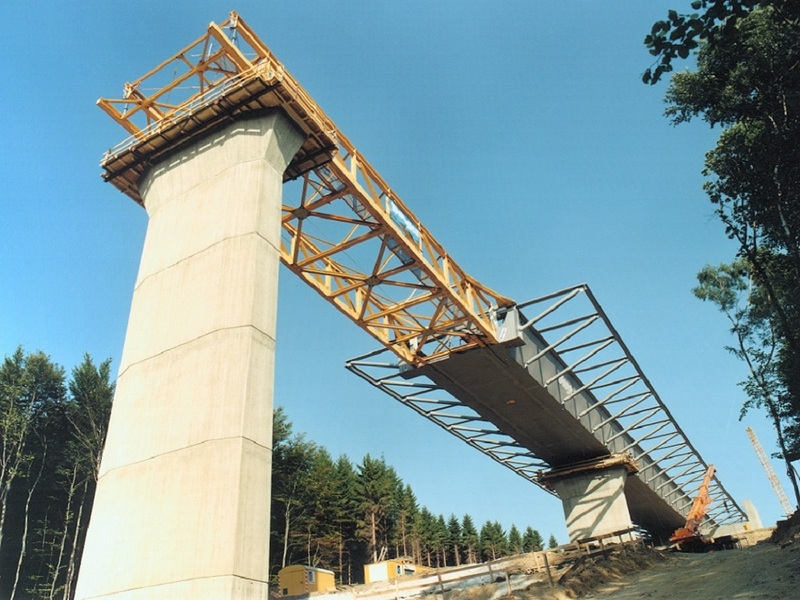 The steel composite superstructure was designed as a single-cell trapezoidal steel box with external truss structure and reinforced concrete roadway slab. 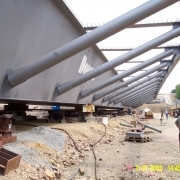 The steel structure was assembled using the incremental launching method. 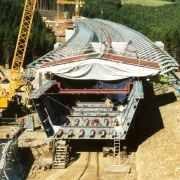 The reinforced concrete roadway slab was produced with formwork carriages. 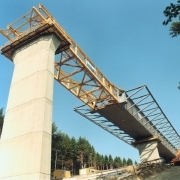 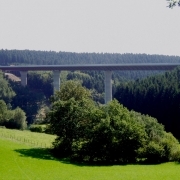 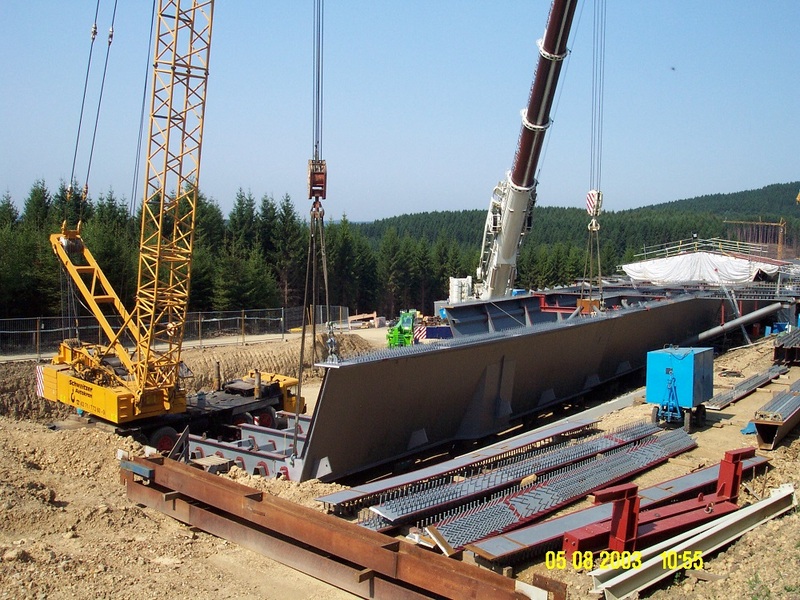 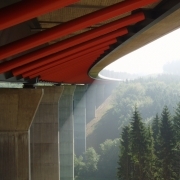 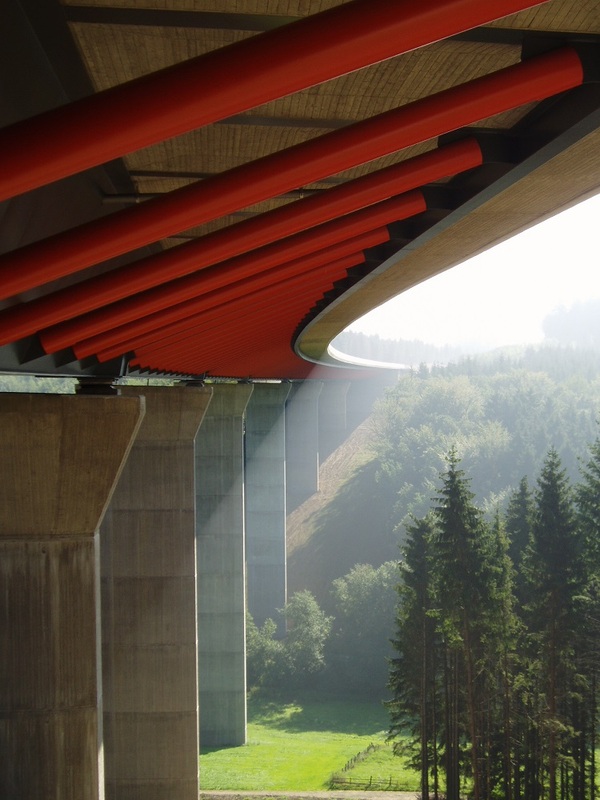 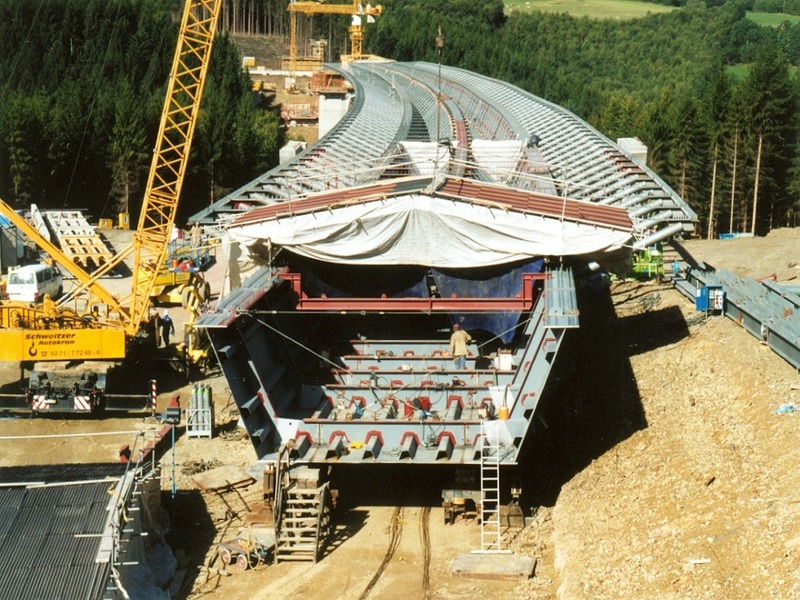 6-span steel composite deck bridge in a radial position and constant longitudinal slope (0.6%). 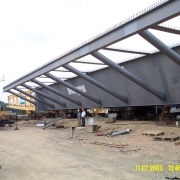 Donges manufactures, delivers and assembles the complete steel structure, including corrosion protection.